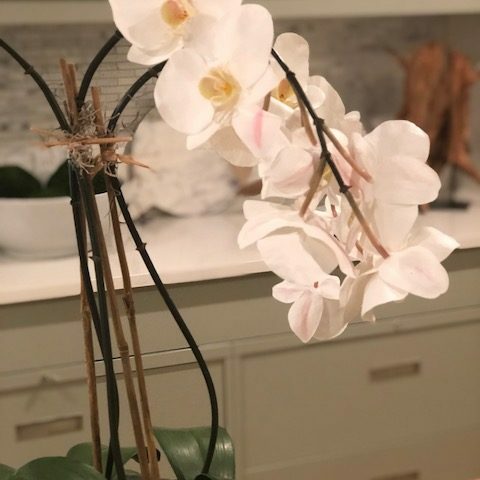 Our signature faux orchids are some of our favorite accessories to showcase in the studio and on the blog. 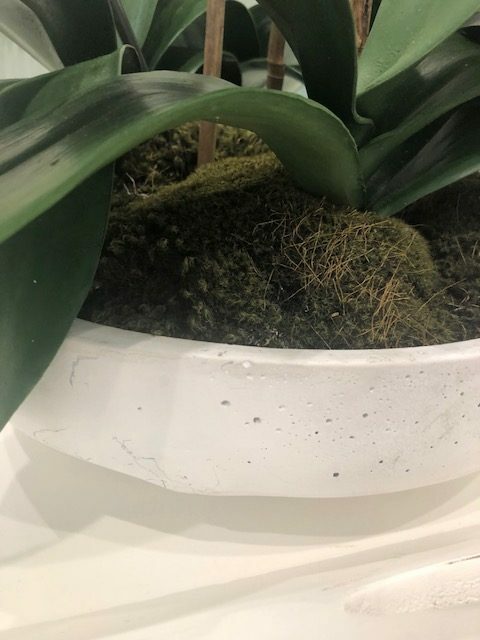 We have new style in the shop, a triple phal in a cement white bowl. The white cement bowl can lean more modern. It can also pair well with more casual decor. Here’s a close-up of the petals. They are very life-like. Perfect for a second home or if you want plant without any maintenance. Here’s a close-up of the concrete bowl. It sells for $349.99. 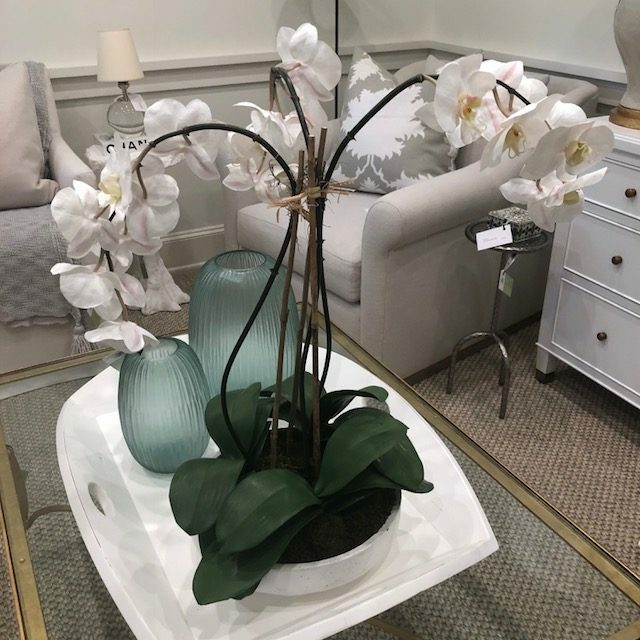 The dimensions are 15″ W x 15″ D x 25″ H.
For more faux orchids and florals, visit our shop!